As some online poker players will already know, return on investment (ROI) is used to measure your overall success in poker tournaments. However, even players who thoroughly understand ROI don’t always consider how much their profitability can be influenced by a rakeback deal. But before we move on to this subject, let’s do a quick overview of how ROI works for those who aren’t totally clear on what the term means. Based on your 4.55% ROI, you’d be a winning player by a pretty solid margin – and this is before you’ve even worked out what your ROI would be with rakeback! As you can see, the $60 in rakeback made a 2.65% difference in the poker tournament winnings! Okay, so rakeback isn’t officially considered a part of return on investment, but you can certainly see the obvious impact it has on your overall ROI. In the previous example, the 2.65% increase was almost like a bonus, and the best part was that you only had to sign up at a poker site through RakeTheRake to receive this boost. The main point here is that securing the best rakeback deal for yourself can go a long way towards increasing overall ROI and earning you even more poker cash. 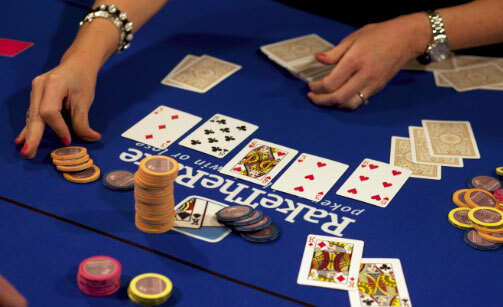 And remember that the more you play online poker, the more you’ll see the benefits of a top rakeback deal.